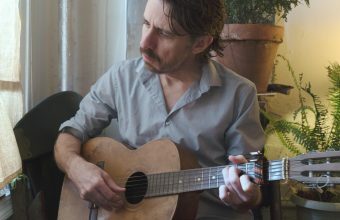 It was only a few years back that Will Woodson was living here in New York City, and working in Brooklyn as an apprentice to the well-established Scottish bellows pipe maker Nate Banton by day (elbowmusic.com) and playing tunes by night. (The nights he wasn’t busy locked away working in the pipes shop, that is.) It was always a pleasure to see him come into a session because in addition to being a friendly, gregarious guy, Will is an excellent player with a bag of unusual and interesting tunes. Next thing you know, Banton’s off to Maine, moving his shop away from the increasingly untenable Brooklyn rents, and Will’s followed, chasing his passion for music and pipe making. It was a smart move for Will, but unfortunate because for those of us living in New York it meant that no longer would it be so easy to hear him play. Or so we thought. 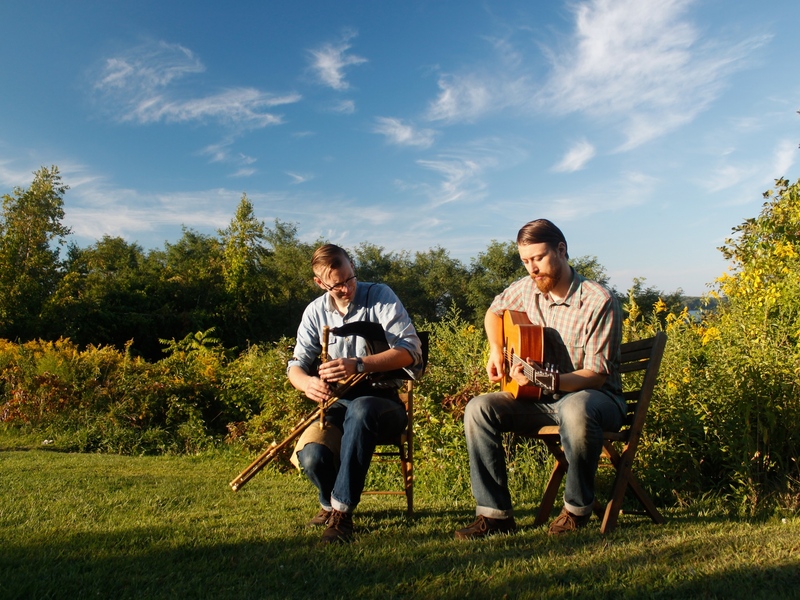 Earlier this year Will released “The Sunny Hills” with Eric McDonald, a lovely album of Scottish music which features Woodson on the border pipes and flute (willwoodsonmusic.com) and McDonald singing and playing guitar and mandolin. It’s an album lovers of Scottish music will want to check out. Woodson is a compelling musician. In addition to playing and making pipes, he holds a master’s degree in Scottish music performance from the Royal Conservatoire of Scotland in Glasgow, is a well regarded teacher and even helped set up the Scottish Iona session in Brooklyn, which has yielded the “Iona Session” album, a CD I have in hand I look forward to discussing here some time in the future. Woodson’s flute playing is similarly engaging. His style is restrained and relatively unadorned, allowing the rhythms of the melody to do the work. I particularly like what he does on “Cameron’s Got His Wife Again / Donald Blue / A Dhòmhnuill, A Dhòmhnuill,” a strathspey and two reels, on which he articulates the rhythmic nuances of the different tunes nicely. This album also has McDonald showing some lovely flashes on the mandolin. Take, for example, his playing on the waltz “Drunk in the Night, Dry in the Morning.” The two musicians, mandolin and flute, play together brilliantly and the resulting music is sweet and confident, captured with an intimacy that draws the ear. The mandolin playing on “The Garden of Skye / Lime Hill / Captain Byng,” (march/strathspey/reel) is also lovely. With Woodson on pipes McDonald provides both harmonic and melodic support that alternately drives the melody and gives it depth. McDonald also contributes three songs, “Caledonia,” “Charlie, Oh Charlie,” and “Dark Lowers the Night.” McDonald’s voice is light and easy and he delivers the songs well. “Caledonia” is a slow song of longing, learned from Tony Cuffe, that comes from Cape Breton Island. “Chairlie” gives it a nice contrast. In a minor key, it has a brooding, snarly character that in combination with the pipe’s drone conveys the song’s darkness well. However, I find “Dark Lowers” the best of the three. McDonald’s voice has a fairly lonesome quality to it that adds the song’s feel, and Woodson’s flute backing sounds great with McDonald’s mandolin playing. It’s a standout track. Ultimately, “The Sunny Hills” is a lovely album of Scottish music by two young musicians who have a special affinity for the tradition. 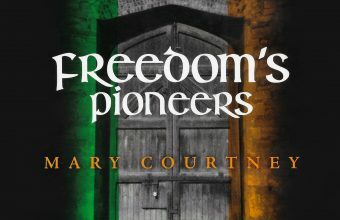 If Scottish music is your thing, this is an album you’ll definitely want to check out for yourself, but it’s an easy listener for anyone interested in traditional music of any stripe. 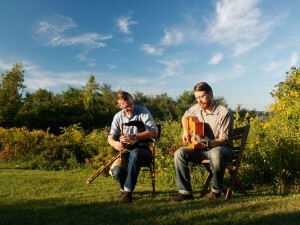 For more information about the album and artists, visit www.willandericmusic.com.